Helen obtained her degree in Music from Kingston University in Surrey studying violin and piano. Upon graduation, she worked as a freelance musician including teaching, performing with string quartets and piano accompanying. After an interest in law was sparked following working at the Citizens Advice Bureau, Helen went on to train and work within the legal profession as a Para-legal and Legal Executive in Solicitors' practices before returning to her musical roots and training to teach secondary and sixth-form Music. She worked as Head of Music in a secondary school in Darlington and she is currently Subject Leader for Music at Prior Pursglove & Stockton Sixth Form College which she has been for the last ten years. She conducts the ensembles on a regular basis and is Musical Director for their annual productions. Helen is also a member of the Cleveland Philharmonic Orchestra in addition to working as a piano accompanist and freelance musician. 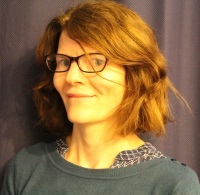 Helen started with the society in March 2016.